Great flight action shot, Hien! Really enjoyed your snow goose posts. Superb wing shots. I’ve seen a few jaw-dropping photos in the news that captured hundreds, maybe thousands, in fields of corn stubble. I watched many on their migration route to summer range in the arctic, but never caught them at a rest stop! Thanks Nick. We are lucky that New Jersey has a few spots where Snow Geese stop during their migration. Thanks Elle! 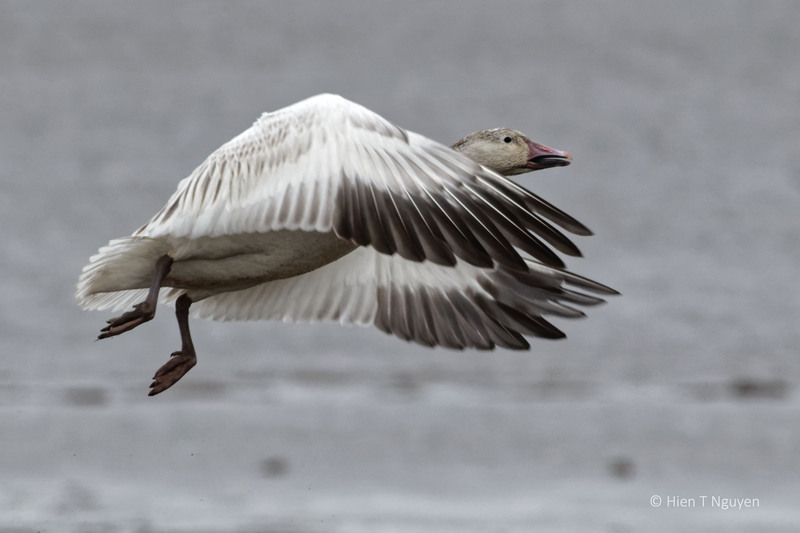 I think Snow Geese have perfected the art of flying and are excellent subjects for us. Thank you for commenting, Tom! Lovely capture of its flight! I love how you captured this moment. Thank you! I think I caught it at the right time, just as it started to fly.